Holy moly – does anyone else need a weekend from their weekend?! I definitely do! I got together with an old friend for brunch and mani pedis on Saturday, celebrated my mama’s birthday with a big dinner party that night (more on that later), and on Sunday, we headed up to Mount Tamalpais in Marin county for what turned into a very tiring hike. 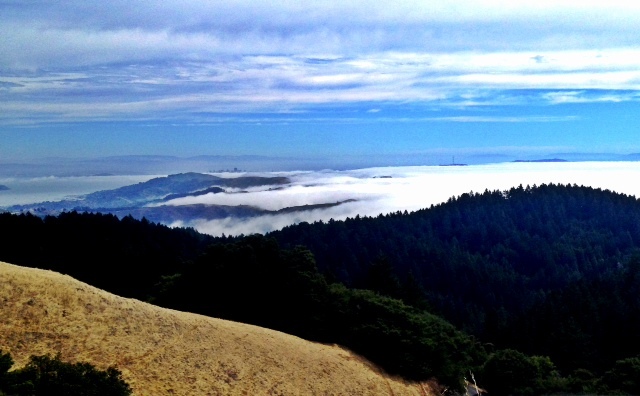 This is the view from the top… you can see San Francisco wayyy in the distance… and all that fog?? Yep, that’s where the ocean should be! Between all of that, I swear I have been making progress on our little hallway in the last week… proof?? 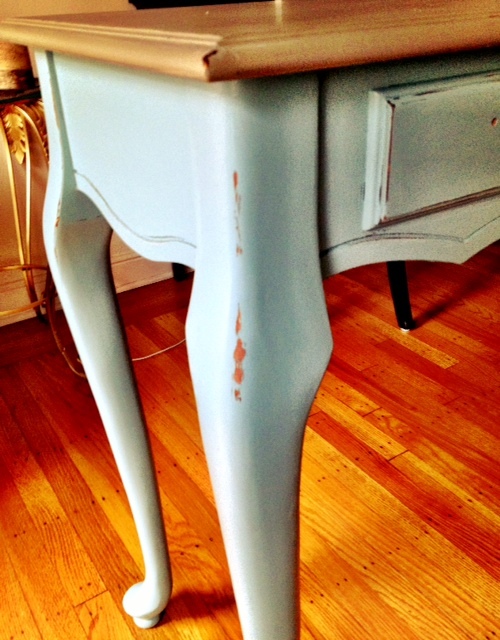 Here is a sneak peek at the freshly painted and “antiqued” console table… excuse the wires in the background – the console has made a temporary home in the middle of our living room while the hallway gets painted. This entry was posted in DIY, San Francisco by Simply Styled. Bookmark the permalink.